SoundStage! Access | SoundStageAccess.com (GoodSound.com) - Budget Audiophile? I'm a Fraud. Since then, I’ve made some improvements. I bought a gray-market copy of Windows 10 on eBay for $25 -- it came to me on a thumb drive with the license key printed on a piece of computer paper. This upgrade brought huge stability improvements to Roon, both on the machine itself and in the companion iPhone app -- and now my Apple keyboard worked, too. To house all my music, I also grabbed a $100 500GB external SSD -- brand new but, rest assured, on sale. This meant I could move on from my vintage HDD: when I called up a song, it took an eternity or two to spin up. The SSD made my Roon server super-responsive, and I still have about 100GB of storage left for the next time I go trawling for electronica CDs on eBay. My investment, now totaling $405, had suddenly become a smashing success. Since mid-September, I haven’t experienced a single problem with Roon or my NUC. It’s certainly possible that a dedicated high-end music server might “sound” better in my system. There are an awful lot of noisy components in Intel’s tiny computer that could affect my system’s sound, but I have no interest in spending thousands of dollars to find out if I can do better. Nor do I think that reviewing such products for SoundStage! 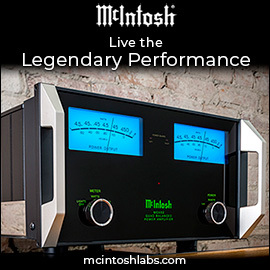 Access makes any sense -- far greater gains in performance are to be had by upgrading speakers, or DAC, or amp. Provided that Tidal’s streaming music service doesn’t go away, I’m confident my present music server will last a long, long time. Emboldened by how much fruit my cheap ways had borne, I bought a Google Chromecast Audio so that I could hook up my Roon server to TEAC’s fancy NR-7CD integrated amplifier-DAC/CD player. This $4999.99 Japanese amp’s (review in the works) wealth of digital inputs does not, curiously, include USB. The $35 Chromecast Audio dongle, which serves as a Roon Endpoint, allowed me to wirelessly connect the NR-7CD to my server. While I don’t love Google as a company, its Chromecast Audio is a bona-fide bargain. With a single 3.5mm output that pulls double duty for analog (via stereo miniplug) and digital (via TosLink) signals, an idiot-proof app, and the ability to stream up to 24-bit/96kHz PCM, it represents incredible value. In fact, I bought a second Chromecast Audio for $15 on Black Friday. Should I ever decide to set up a second or even a third stereo in my house, they’ll all enjoy seamless access to my Roon server. Oh, and its DAC isn’t half bad, either. If you’re into computer audio, you need one of these things. While I’ve been talking about how cheap I am, I should also confess that I’ve gone on something of a buying spree. 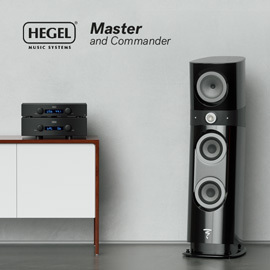 I recently raved about Hegel Music Systems’ new H590 integrated amplifier-DAC, but at first balked at its price of $11,000. That’s a lot of money by most anyone’s standards, and it’s almost twice the price of Hegel’s H360 integrated amp-DAC ($6000), one of which has been my reference amp for several years now. It’s also a lot more than I’d ever consider spending on a component for myself -- even after I’d boxed up the H590 and shipped it back to Hegel, I was pretty certain I wouldn’t replace my H360. But it’s now two months later, and I’ve found that I’ve sold my H360 to a nice gentleman from Reading, Pennsylvania, and am now staring at an H590 that I can call my own. With KEF having recently announced its new R series of speaker models, I’ve also sold my KEF R700 floorstanders (discontinued). Odds are I’ll plump for KEF’s R7 ($3799.99/pair), which has replaced the R700, but for now I’m using my trusty KEF LS50 minimonitors -- one audio product I will never sell. To round things off, I’ve picked up a pair of Rocket 33 speaker cables from AudioQuest, so that I can have banana-terminated cables for speakers whose terminals don’t accept spades. But all of this presents a problem. 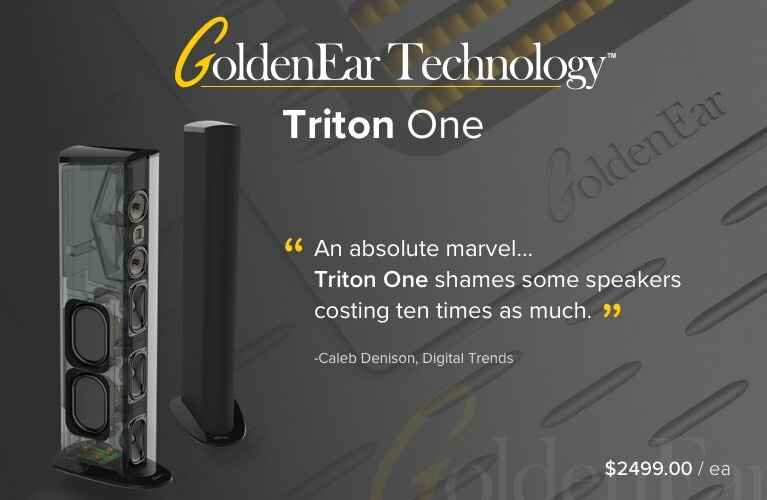 If the system I now own has cost me $15,000 or more, how can I call myself a budget audiophile? So I’ve resolved to pick up, at some point in the next few months, some affordable electronics. Brands like Cambridge Audio, Marantz, NAD, and Schiit Audio come to mind, and separates are possible, but I’ll likely end up with an integrated amp-DAC. My hope is that, as I continue to work through my current review queue, for the foreseeable future I’ll be able to focus exclusively on sub-$1000 electronics and speakers -- products that just about anyone can afford and, perhaps more important, products that non-audiophiles might actually be interested in. As it is, I have several reviews to get through in the next two months, including the aforementioned TEAC NR-7CD integrated amplifier-DAC/CD player ($4999.99), Technics’ SU-G700 integrated amplifier-DAC ($2500), Scansonic’s M-40 loudspeakers ($2000/pair), and Paradigm’s Defiance V10 subwoofer ($549). Happy holidays, folks, and happy listening -- see you in 2019.